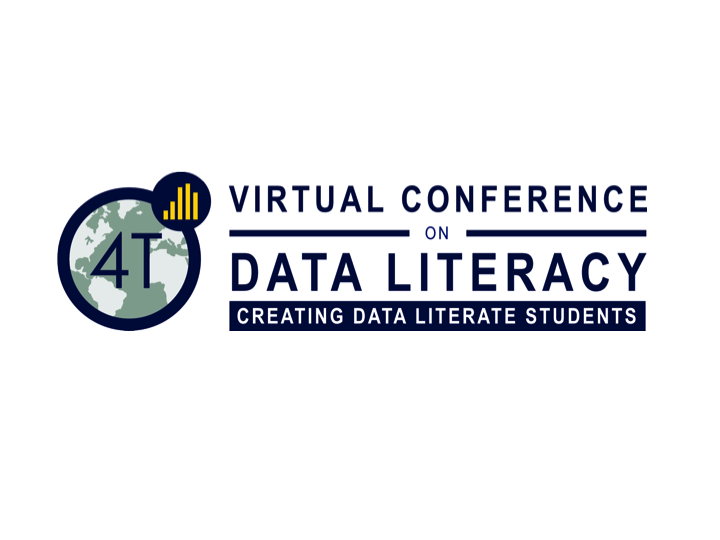 We’ve talked a lot in Data Literacy in the Real World: Conversations and Case Studies, and in our 2017 and 2018 conferences. Digital assistants like Amazon’s Alexa offer a cool device at an accessible price, but there’s so much more to unpack behind those high-tech cylinders. Some people might be more comfortable disclosing their innermost feelings to an AI. A study conducted by the Institute for Creative Technologies in Los Angeles in 2014 suggests that people display their sadness more intensely, and are less scared about self-disclosure, when they believe they’re interacting with a virtual person, instead of a real one. As when we write a diary, screens can serve as a kind of shield from outside judgment. [N]either Siri or Alexa, nor Google Assistant or Russian Alisa, are detached higher minds, untainted by human pettiness. Instead, they’re somewhat grotesque but still recognisable embodiments of certain emotional regimes – rules that regulate the ways in which we conceive of and express our feelings. By contrast, Alisa [a Russian-language assistant] is a dispenser of hard truths and tough love; she encapsulates the Russian ideal: a woman who is capable of halting a galloping horse and entering a burning hut (to cite the 19th-century poet Nikolai Nekrasov). Alisa is a product of emotional socialism, a regime that, according to the sociologist Julia Lerner, accepts suffering as unavoidable, and thus better taken with a clenched jaw rather than with a soft embrace. Anchored in the 19th-century Russian literary tradition, emotional socialism doesn’t rate individual happiness terribly highly, but prizes one’s ability to live with atrocity. Instead of questioning the system of values that sets the bar so high, individuals become increasingly responsible for their own inability to feel better. Just as Amazon’s new virtual stylist, the ‘Echo Look’, rates the outfit you’re wearing, technology has become both the problem and the solution. It acts as both carrot and stick, creating enough self-doubt and stress to make you dislike yourself, while offering you the option of buying your way out of unpleasantness . . .
[I]t’s worth reflecting on what could happen once we offload these skills on to our gadgets. Hundreds of black bears amble through … Yosemite National Park in California … [N]ow, thanks to a new tracking system, fans of the furry animals can follow the creatures’ meandering paths—from the safety of their couch. As Scott Smith of the Associated Press reports, the park recently launched a website called Keep Bears Wild. One of the site’s main features is the aptly-named “Bear Tracker,” which traces the steps of bears that have been fitted with GPS collars. But the animals’ locations are delayed, Ryan F. Mandelbaum reports for Gizmodo, so curious humans aren’t tempted to scout the bears out. Rangers can turn the data on and off, and tracks will be removed during fall and winter to ensure that the bears can hibernate peacefully. These may seem like intuitive precautions, but bears are repeatedly threatened by their interactions with humans. More than 400 of Yosemite’s bears have been hit by cars since 1995, according to the Keep Bears Wild site. And bears that feast on human food can become aggressive, forcing rangers to kill them “in the interest of public safety,” the site explains. While the Bear Tracker provides limited data to the general public, it is also useful to park rangers, who can view the bears’ steps in real time. For the past year, a team led by wildlife biologist Ryan Leahy has been using the technology to track bears on iPads and computers, according to Ezra David Romero of Valley Public Radio News. And as Smith reports, rangers can follow GPS signals and block bears before they reach campsites. 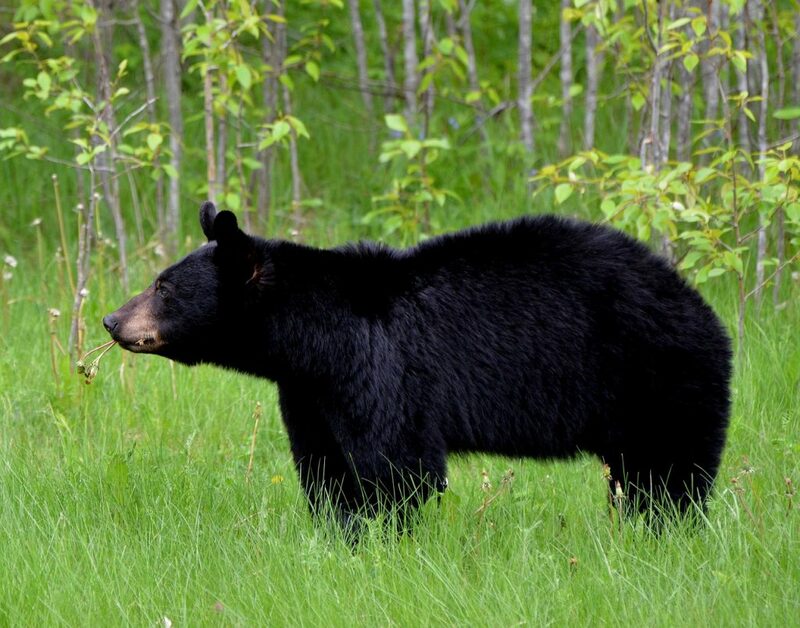 The tracking devices also help rangers learn more about black bears’ behavior. The animals can traverse more than 30 miles in two days, the data suggests, and easily scale the 5,000-foot walls of Yosemite’s canyons. The trackers have revealed that the bears begin mating in May—one month earlier than previously thought. [t]his isn’t a case of mishandling, leaking, or stealing data. Rather, it is the generation of new data, the indirect discovery of unvolunteered truths about people. Organizations predict these powerful insights from existing innocuous data, as if creating them out of thin air. To understand how predictive analytics work, Siegel provides a wealth of examples and in-depth explanations in Predictive Analytics: The Power to Predict Who Will Click, Buy, Lie, or Die. Understanding how organizations glean information from data and use that information helps us understand marketing and decisionmaking today. It also helps us manage our personal data. Source: Siegel, Eric. Predictive Analytics: The Power to Predict Who Will Click, Buy, Lie, or Die. Hoboken, New Jersey: John Wiley & Sons, 2013. Image: “Women Grocery Shopping.jpg” by Bill Branson (Photographer), on Wikimedia Commons. Public Domain. Boosted by vast banks of computers, Caesars today know the names of the vast majority of their clients, exactly how much they spend, where they like to spend it, how often they come, and many other characteristics. They even know exactly where many of their customers are at a given moment–whether they are sitting at a specific Wheel of Fortune slot machine or playing blackjack in the wee hours of the morning. They gather all these details with the consent of those who choose to participate in their loyalty program. Loyalty programs supply your personal data to the companies with which you sign up for them. This book made me think twice about signing up for and using loyalty programs, despite their benefits, because they require giving up so much information about my habits. I had no idea! In What Stays in Vegas, Tanner also brings up ethical issues, such as the justifications that commercial companies have for tracking people. He questions where the line between creepy and useful is. Tanner proposes that consumers should be able to see what data that private companies have and that privacy policies should be provided consistently and recognizably. Check out his appendix for actionable ways to control your personal data, such as using an email address that does not identify you by name for communications from commercial companies and signing up for the Do Not Call Registry. What are ways that you limit your personal data sharing? Do you participate in loyalty programs? Source: Tanner, Adam. What Stays in Vegas: The World of Personal Data–Lifeblood of Big Bussiness–and the End of Privacy as We Know It. New York: PublicAffairs, a Member of the Perseus Book Group, 2014. Image: “A view of the card tables inside the casino” by Kym Koch Thompson, on Wikipedia. CC BY 2.0. Where are your data stored, and who has control of your data? The answer to this question is not always straightforward. We don’t always know whose eyes are on our data. For example, cell phone data reside on servers of private companies. A lot of information can be gleaned from data, from your location to your relationships. Bruce Schneier writes about surveillance via data in Data and Goliath: The Hidden Battles to Collect Your Data and Control Your World. For anyone curious about what data that companies and the government keep and monitor, it is a fascinating read. [o]ften the debate is characterized as “security versus privacy.” This simplistic view requires us to make some kind of fundamental trade-off between the two: in order to become secure, we must sacrifice our privacy and subject ourselves to surveillance. And if we want some level of privacy, we must recognize that we must sacrifice some security in order to get it. [i]t’s a false trade-off. First, some security measures require people to give up privacy, but others don’t impinge on privacy at all: door locks, tall fences, guards, reinforced cockpit doors on airplanes. When we have no privacy, we feel exposed and vulnerable; we feel less secure. Similarly, if our personal spaces and records are not secure, we have less privacy. The Fourth Amendment of the US Constitution talks about ‘the right of the people to be secure in the persons, houses, papers, and effects’… . Its authors recognized that privacy is fundamental to the security of the individual. More generally, our goal shouldn’t be to find an acceptable trade-off between security and privacy, because we can and should maintain both together. Schneier’s book is illuminating for considering personal data management (one of the themes for the upcoming second year of our project in 2016-2017!) in light of data use by commercial companies and government. Schneier takes a philosophical approach to discussing data, security, and privacy. He concludes with useful tips for protecting your data. Read Data and Goliath for some great food for thought! Source: Schneier, Bruce. Data and Goliath: The Hidden Battles to Collect Your Data and Control Your World. New York: W.W. Norton & Company, 2015. Image: “People Lens White Eye Large” by skitterphoto.com, on Pexels. CC0 Public Domain. This post is Part 2 in a two-part series highlighting our team members’ work with Choose Privacy Week. This initiative of the American Library Association puts a spotlight on issues of privacy in today’s digital world, such as tracking in online searches. Knowing how your data are used is a component of data literacy, and we are excited to feature our team members’ blog posts on these topics. Reconciling big data opportunities with healthcare privacy concerns is the same dilemma we face in education. Instructors want to support personalized learning, instruction, and classroom management with online offerings – but the data of underage patrons hangs in the balance. Just as health profiling based on longitudinal data collection raises red flags, so does educational performance profiling. Ethically and practically, youth will always be our Achilles Heel. Check out their post for some practical tips on monitoring what information vendors collect! 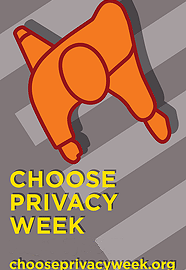 This post is Part 1 in a two-part series highlighting our team members’ work with Choose Privacy Week. This initiative of the American Library Association puts a spotlight on issues of privacy in today’s digital world, such as tracking in online searches. Knowing how your data are used is a component of data literacy, and we are excited to feature our team members’ blog posts on these topics. …there are universal norms that our students must know about their online presence: what you post can describe you, once a post leaves your device it is no longer in your control, and there is indeed, a digital footprint that gets left behind. What this means for children and teens is that their online lives can follow them through their offline lives. If they post provocative things or mean things or negative things, they will be perceived by their online friends as those things; even if they are none of those things in their offline lives. One of the hardest ideas for teens to grasp sometimes is the idea that they are often creating a ‘body of work’ that can define them to others. …it is important that we begin thinking about how we will allow our growing children online access while still keeping them protected. While online security is not a typical survival necessity, it is one that can impact our children. As adults, the information we share about our children with our own friends and families is the first step to modeling positive online behavior. Setting up norms that children learn to follow and understand – ‘hand holding’ – will allow parents and educators to loosen that grip, enabling them to expand their access as they grow and demonstrate their abilities to participate positively. Instruction on best practices for students can take a variety of forms, and Connie goes on to provide examples. Thanks, Connie! In what ways do you limit your data sharing? Do you join or avoid loyalty rewards programs that track your habits? Do you block or regularly clean out cookies in your browser? Those steps are some areas where you have control over your information. Yet, data sharing to third parties is sometimes out of your hands or buried in the fine print of services that you use. This last week, the Federal Communications Commission proposed new rules to give you a choice to opt out of data sharing to third parties by your Internet service provider. While this rule does not apply to sharing by websites, as critics point out, it does take a step toward consumer control of data sharing in the United States. It will be interesting to see what comes of this possibility! So … It’s been an interesting week (or year!) for polling and predicting who will be President. One of the reasons that the grant team felt like the time was right for providing data literacy, professional development to librarians was because of the election in the not-too-distant future. Interpreting polling data is vital to helping our students become informed citizens. Have the questions been posed in a way that elicits accurate information on the topic of interest? Are respondents telling the truth? When so much seems to be riding on perception in this election (look at what happened in the Midterm election and how people’s perception of the economy informed how they voted), opinion polls matter. Jill Lepore writes in the New Yorker that “Polling may never have been less reliable, or more influential, than it is now.” The public relies on the media to provide them with a good sense of what’s going on in the world. Data science paired with data literacy skills can do that. Misinterpreted survey data or polls conducted unethically leads people to draw conclusions that may just reinforce partisan beliefs (again, see what happened in the Midterms). Yes … I know … There are whole graduate programs devoted to the methodology of conducting surveys — Programs that might cover how to conduct good opinion polls! 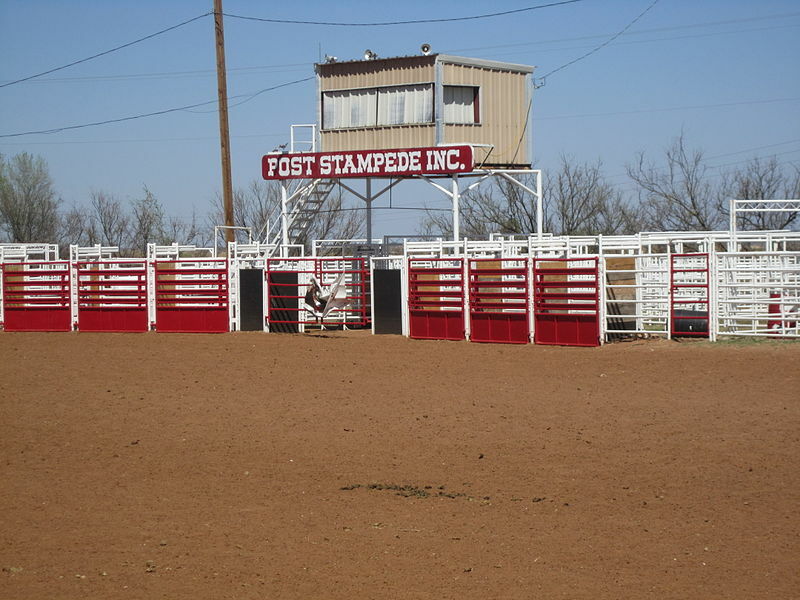 But in this wild rodeo of an election where BOTH sides have voters who are bull-headed, I think teaching high schoolers to ask basic questions like “Who is answering the questions in this survey?” and “How might the format of this question influence the answer?” are good strategies as they move forward to become informed citizens and not just partisan, rodeo clowns. 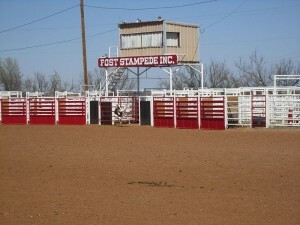 Image: File:Post, TX, Stampede Rodeo stadium IMG 1722.JPG by Billy Hathorn on Wikimedia Commons. CC BY 3.0.